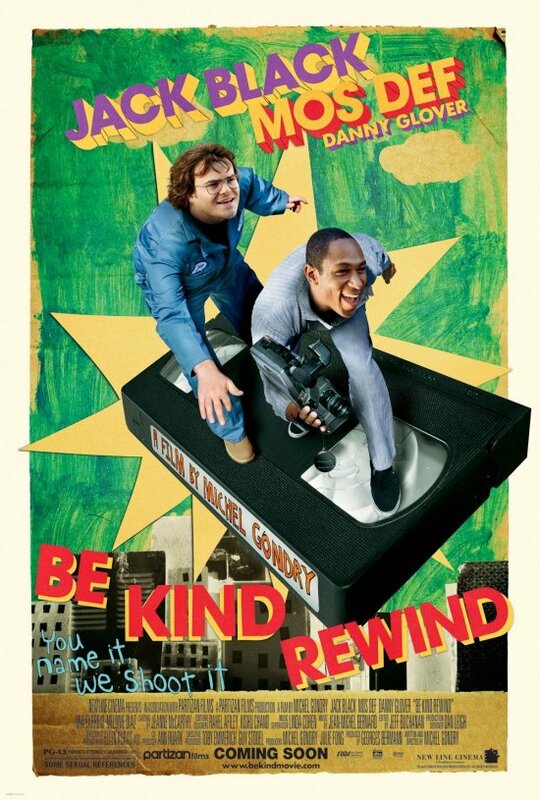 Be Kind Rewind is one of those films that is so stupid it's funny and entertaining, and you can't turn it off. You may watch it once...possibly twice. Or whenever you need some laughs or to just relax. Don't expect amazing acting or something that will change the art form of film, that's not what this film is trying to do. Be prepared for mindless entertainment, a predictable story, dumb humor, inspiration to make movies, and a reminder of the role of stories in our lives and their ability to bring us together as people. It is so fun to see what they do with all of the old movies and how they remake them. Though at times it's a little unbelievable that everyone would want to watch them, I sat there laughing at these guys and their ridiculousness....and loving every minute of it! I think it's because it reminds me of the videos I used to make in high school. Sure they were lame, dorky, and cheesy, but boy were they fun to make! They involved the entire neighborhood and we all sat around to watch them...over and over again. Stories are so powerful, and such a central part of who we are as people, and film is such an amazing way for us to share stories with one another, and seeing the whole town of Passaic gather together around these stories just confirmed that. There's just something special about being involved in storytelling that hundreds of people will sit together and watch "horrible" films, and because they were a part of it, it doesn't matter how good it is. It's their story. And watching the behind the scenes of this film made me have even more respect for a film I think I would have dismissed more readily. So many of the actors in the movie were actually from Passaic! While watching it, there were moments where the acting felt forced and unnatural, and...well much like my old videos! 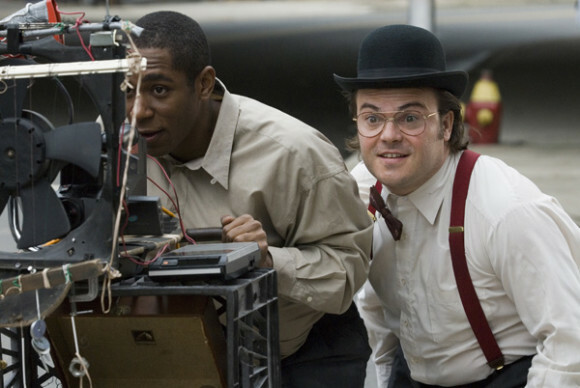 But realizing that Michel Gondry was actually willing to use random people from the street to get the overall feel of a home movie as well as to engender the feeling of community on and off the set, I think is a stroke of genius! This movie was definitely worth the $4 my gift card payed for!